I have taken a bit of time off from my blog duties. I'm happy to announce I have a full slate of material to cover in 2014 and some great topics. You have been very consistent and letting me know it's time for some postings so I look forward to getting some of the ideas I've been working on out to you. Have you ever heard someone say "Well we need to change the culture to fix that?" 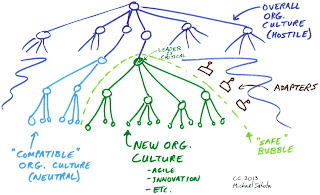 All to often when an organization is beginning a Lean transformation the single most important variable which is overlooked is culture. How often do we run across situations where it's assumed a simple tweak to a company's culture is the solution? While that's likely true, how easy is it to change culture? Several weeks back while talking to a peer I heard a great comment which has stuck with me. She said "Culture is what happens when no one is watching." What a profound statement. There is simply no arguing this point. Often organizations will introduce tools and practices to change their workforce to be more "efficient", but this does very little to actually treat the cause or even the symptoms for that matter. 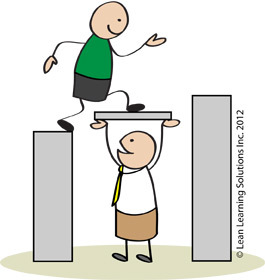 The most underestimated changes which are required for Lean Transformation are cultural. The evidence of the last 20 years indicates that trying to copy or reproduce another company’s tools, techniques, or principles does little to change an organization’s culture, its way of doing things. For example, how do you get people to actually live principles? On the other hand, focusing on developing daily behavior patterns is a leverage point because, as the field of psychology shows us, with practice, behavior patterns are changeable, learnable, and reproducible. Culture change is not achieved through books, intellect, classroom training, discussions, or anything similar. Trying to get each person in an organization to think and act in certain ways means you are working on organization culture. Consider the cultural makeup of a company. 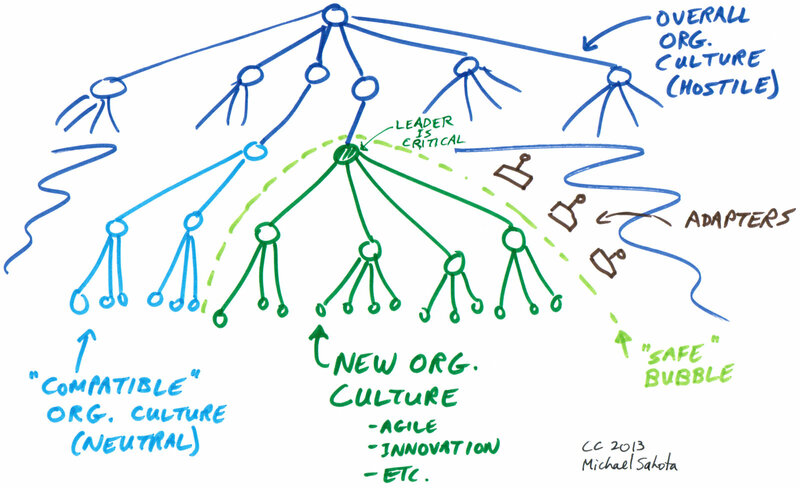 "Culture," does not refer to the "lean culture" to which a company may aspire. Rather, it is the unique traits and characteristics of the people within the organization. Before even tackling an attempt to change your organizational culture you need to ask yourself what you're trying to achieve and how can our culture prohibit our journey? Often the blanket statement of changing culture to achieve an outcome is like tying to slow the spin of the Earth to make your days longer. It's possible but not at all likely. The simple truth is that the best way to change and sustain an organizational culture is by first changing and sustaining management behavior, a lesson many transformation efforts still overlook and consequently fail. Additionally, bureaucratic cultures can smother those who want to respond to shifting conditions. And the lack of leadership leaves no force inside these organizations to break out of the morass. Big egos and arrogant cultures reinforce the what John Kotter calls nine sources of complacency Kotter, John P. (1996-08-07). Leading Change, which, taken together, can keep the urgency rate low even in an organization faced with major challenges and managed by perfectly intelligent and reasonable people. This is what you're likely faced with. It's happening at all levels when no one is watching. Culture is the single most important component in a transformation effort. Again Kotter explains. 1. Because individuals are selected and indoctrinated so well. 2. Because the culture exerts itself through the actions of hundreds or thousands of people. organization's culture, people, planning, problem-solving - everything its people do, touch, or say. A company can not create genuine lean overnight, and may, in fact, need what I call iterative lean to help get it there. But too much reliance on iterative lean prevents a company from achieving genuine lean. Changing your culture means changing your knowledge workers’ work norms and work-related values. These norms are established, held, and enforced daily by small social groups that often take their cue from the group’s high-status member what Richard Rumelt in Good Strategy Bad Strategy named "the alpha" Richard Rumelt (2011-07-19). Good Strategy Bad Strategy. In general, to change the group’s norms, the alpha member must be replaced by someone who expresses different norms and values. All this is speeded along if a challenging goal is set. The purpose of the challenge is not performance per se, but building new work habits and routines within the unit. Development of a lean culture may be put on the back burner for better times, but this is a deadly mistake. If the climate is competitive pressure and recognition of the need to improve, a company should begin with the tools but in parallel, work on changing the culture to sustain and continue the improvements. If a company is in a growing, flourishing industry that is facing little pressure, then it should work specifically on developing the lean culture and apply the tools as a manifestation of the culture. I don't have all the answers but I do know truly Lean firms with adaptive cultures are awesome competitive machines. They produce superb products and services faster and better. They run circles around bloated bureaucracies. Even when they have far fewer resources and patents or less market share, they compete and win again and again. Even though few would dispute the value of being an engaged leader, many still do not practice what they preach. The harsh reality is great numbers of leaders continue to operate in a vacuum by sequestering themselves away in the corner office and attempting to lead from afar. Trust me when I tell you that being out of touch is never a good position to find yourself in as the CEO. 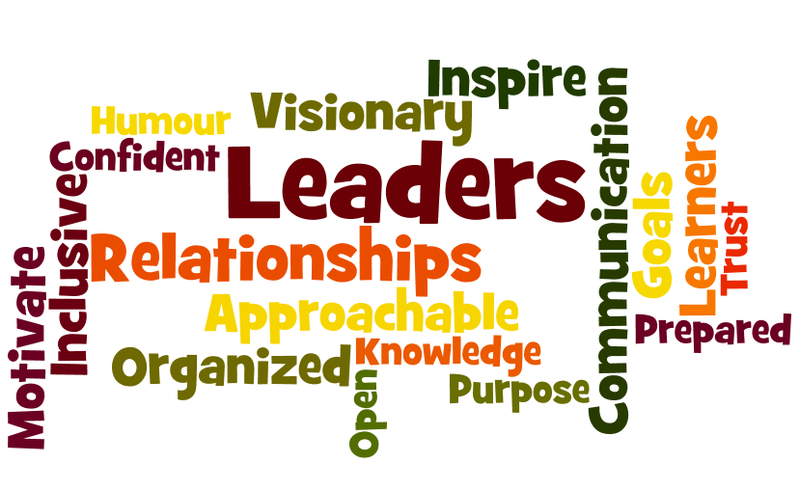 I rarely come across leaders who couldn't benefit from being more meaningfully engaged on both a broader and deeper basis, and hope that today’s post will encourage you to do just that and engage. Patrick Lenioni's new book "The Advantage" is a supreme summary to my point. "Lack of intelligence, domain expertise, or industry knowledge is almost never the problem I see in organizations. In twenty years of consulting to clients in virtually every industry, I have yet to meet a group of leaders who made me think, Wow, these people just don’t know enough about their business to succeed. Really. The vast majority of organizations today have more than enough intelligence, expertise, and knowledge to be successful. What they lack is organizational health. This point is worth restating. After two decades of working with CEOs and their teams of senior executives, I've become absolutely convinced that the seminal difference between successful companies and mediocre or unsuccessful ones has little, if anything, to do with what they know or how smart they are; it has everything to do with how healthy they are". - Lencioni, Patrick M. (2012-03-14). The Advantage: Why Organizational Health Trumps Everything Else In Business . John Wiley and Sons. There are hundreds if not thousands of management books which touch the subject and still we fail to improve. This blog will share some of my favorite thinkers on the subject and yet so many people seem lost when trying to solve their dilemmas. We educate hundreds of thousands of professionals in MBA's, management programs and speakers and we still fail often more than we succeed. The solution is presented by exceptionally smart people in many different ways and we still don't see the light. I propose two main reasons for this failure in modern day knowledge transfer. 1. Management believes they know more than the knowledge worker. 2. Because of #1 there's little serious effort to foster and capture intellectual capital and create an environment of learning and sharing. Most managers make decisions, solve problems, and take other action believing that they already understand the company's current reality. But they rarely take specific actions to increase their knowledge and understanding of the current reality. In addition, a common understanding of the current reality should be developed, not just an individual one. If this is done right, the rest becomes much easier. Gemba is a concept which can often quickly address this lack of knowledge. Gemba a Japanese term is defined as a "real place". Think about your firm, where is the value really created? Jim Womack in Gemba Walks states "My purpose in taking a walk is simple: to see and to understand how more value can be created with less waste. But what is the purpose of the value stream along which I’m walking? That is, just what “value” should it provide for its customer? This is a critical question for the lean thinker because diving in to “fix” a process (a value stream) so it can provide more of the wrong “value” can only be an exercise in frustration. Yet I find that many lean practitioners seem hardly aware of the issue." - Womack, James P. (2011-02-21). Gemba Walks Lean Enterprise Institute, Inc..
Another interesting component of business today is the power which accounting has over direction. Consider how often decisions are made based on perceived costs or ratios which have no intellectual value whatsoever. Most management believe cost or accounting based decisions are what drives successful firms.If American business is ever to restore its lost competitive edge, companies must eschew the use of top-down accounting information to control operations. They must empower workers, and managers, to listen to and respond to the voice of the customers they serve and the voice of the processes in which they work. It will not be enough simply to reform the management accounting information that companies now use to control operations. Restoring competitiveness will require managers altogether to stop controlling business operations with accounting information—even new activity-based varieties of cost management information. Companies first developed the habit of using accounting information to control operating processes—people’s work—only during the 1950s. Before that time, companies did not rely on their accounting systems to provide operational control information. The use of accounting information to control day-to-day operations, almost second nature to managers living today, might have seemed strange to generations of managers before the 1950s. In Relevance Regained, Thomas Johnson perfectly states. "Companies that give empowered workers and managers ownership of information about customers and processes are not forsaking concern for profit. Far from it! They simply recognize that long-term profitability is impossible if the bottom line continues to dictate people’s actions. Personnel whose actions are driven by the bottom line can not respond flexibly to customers. To motivate behavior that is responsive and flexible, companies require new management information and new management thinking." Johnson, H. Thomas (2008-06-18). Relevance Regained (pp. 16-17). Simon & Schuster, Inc.. If you are a leader your goal needs to be finding good ideas and fostering them. Turf wars and silos need to be a thing of the past of you will join the ranks of many failed companies. John Kotter in Power and Influence noted " 1. Good ideas are rarely lacking inside even poorly performing firms. As a consultant, all I needed to do was go around and interview enough people, summarize the better ideas, and voilà! I would have a first-class report bursting with excellent recommendations. 2. Having a good idea is one thing, implementing it is something else again. The reason firms have excellent ideas in them, and yet still perform poorly, is that the people who have the ideas can’t get them implemented. Bureaucratic and political obstacles stifle their creativity and innovation." - Kotter, John P. (2010-09-28). Power and Influence. Simon & Schuster, Inc..
Change must occur if the traditional top down management is to be removed by bottom up knowledge sharing. 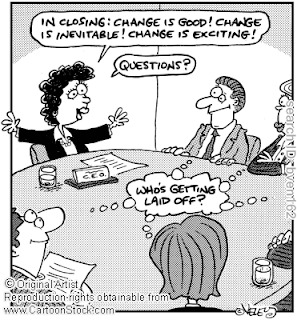 Environmental change demands organizational change. Major internal transformation rarely happens unless many people assist. Yet employees generally won’t help, or can’t help, if they feel relatively powerless. Hence the relevance of empowerment. THE RATE OF CHANGE IN THE business world is not going to slow down anytime soon. If anything, competition in most industries will probably speed up over the next few decades. Enterprises everywhere will be presented with even more terrible hazards and wonderful opportunities, driven by the globalization of the economy along with related technological and social trends. The typical twentieth-century organization has not operated well in a rapidly changing environment. Structure, systems, practices, and culture have often been more of a drag on change than a facilitator. If environmental volatility continues to increase, as most people now predict, the standard organization of the twentieth century will likely become a dinosaur. If you haven't noticed the theme of this blog is to use some of the best practitioners in this field to show you how common the answer is out there. 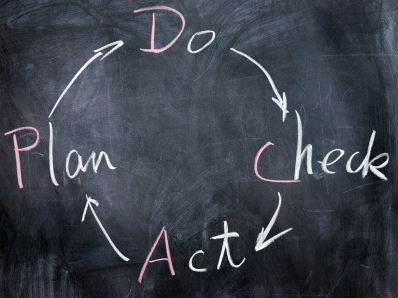 To sum up this topic I close with James Womack's recommendation on how to start your change. "What is the work of management? What value do managers actually create? My answer, informed by insights from John Shook, is that managers create value—that is, they do useful work—through four types of actions: Gaining agreement on the few important things the organization needs to do. This means focusing on how the organization can dramatically improve its ability to create more value, and the right type of value, with less time, effort, investment, errors, etc. Deploying the few important initiatives selected by strategy deployment, solving problems as they arise, and evaluating proposals from lower levels of the organization. This is predominantly the work of middle managers, using the lean management tool of A3 analysis that puts plan-do-check-act cycles into an organizational and customer context. Stabilizing the organization. This means making every step in every process capable, available, adequate, and flexible so the value stream can flow smoothly from end to end and improvements can be sustained. This is predominantly the work of front-line managers, using the lean management tools of standardized work with standardized management and kaizen. Creating the next generation of lean managers. This is the work—perhaps the most important work—of every manager at every level, using the lean management tool of A3 analysis. New lean managers can only be created in intense dialogue between mentors and problem owners through many cycles of gemba learning. If this is the work of management, how does my list compare with what managers actually do every day? In my experience, there is hardly any overlap. Most managers I observe spend most of their time with incidental work—box-checking, meetings that reach no actionable conclusions, report writing, personnel reviews that don’t develop personnel, etc. And in the time left over they do rework. By the latter I mean the firefighting to get things back on course as processes malfunction. Most managers seem to believe that this is their “real” work and their highest value to their organization. I see the gap between the true work of management and the things managers actually do as the muda of management, a vast reservoir of wasted effort and lost opportunities that we all need to address. Removing this muda is one of the greatest challenges facing our movement in the years immediately ahead." Womack, James P. (2011-02-21). Gemba Walks . Lean Enterprise Institute, Inc.. The proliferation of process methodologies has not only made the traditional form of managing more uncertain, but has greatly increased the consequences of uncertainty for managers. Value based (Lean) methodologies emerged as a way to manage and even turn these uncertainties into organizational advantages. There are countless ways these methodologies define value, but all methodologies have one commonality which they share to ensure long term success. Leadership and leadership support for value based change initiatives are the number one variable for success or failure of any such initiative. This post will explore how unconventional leadership supports change in your organization and how with thoughtful planning and support you can avoid the most common points of failure. Traditional command and control structured organizations are often not effectively designed for allowing leaders to adequately promote value delivery. Traditional organizational structures are also not fruitful at turning managers in to effective leaders. Neither are they designed at empowering their workforce, rather they tend to focus on hierarchical decision making which promotes a command and control mentality. Value or value creation can be viewed in multiple ways. The customer must value your product or service and be willing to pay for it, it must change the product or service, and must be done right the first time. Many frameworks do a great job focusing on these three areas. Although frameworks are great tools at enabling value delivery they can only be utilized if the culture and environment fosters and promote value delivery at every level in the firm, including the individual. Using Pareto’s law we can deduct that tools/frameworks only represent 20% of the ability to deliver optimal customer value while leadership empowerment and support comprises the additional 80%. In successful value focused firms 80% of the effort is expended on changing leaders' practices and behaviors and ultimately their mind set. 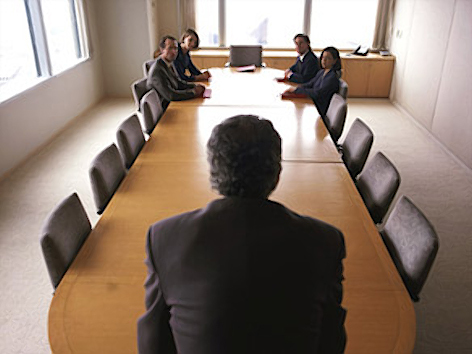 Senior management has an essential role in establishing conditions that enable the effort to succeed. Their involvement includes establishing governance arrangements that cross divisional boundaries, supporting a thorough, long-term vision of the organization's value-producing processes, and holding everyone accountable for meeting value driven commitments. This is accomplished through regular, direct involvement and understanding their role in empowering their employees (who should be considered your intellectual capital). Without this vision any value driven initiative (Lean, Six sigma, Theory of Constraints, agile) will only be seen as the flavor of the month. Asking yourself “is your customer willing to pay for the activity you are engaged in” can provide tremendous insight when leading. Defining value in any other terms can undermine the potential of value delivery for the firm. Leadership often takes too much credit in the value of the organization when they often have created little direct value. The majority of the value delivered is through the product, services or placement of your firm’s competitive advantage. This means your greatest potential for value creation often resides in the employees who produce your competitive advantage. Historically to gain the ranks of manager one had to experience, learn and work in multiple domains of the organization. Rising the ladder through the learning curve of the organizational layers. This allowed managers to gain knowledge and experience which could be used to effectively lead and make intelligent decisions. Today management still rises through the ranks but often they lack the domain knowledge they would have previously gained. Rapid Technology changes make it difficult for management to have the same depth of knowledge as those they manage. 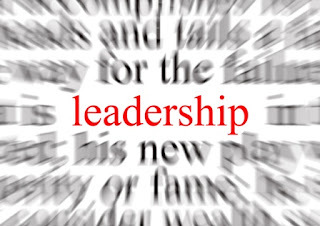 The pace of change today has created a model where leadership is in stark departure from leadership over the last century. Traditionally organizational structure evolved as a product starting with the industrial revolution with influence from military modelling. A command and control model focuses on management making strategic and tactical decisions for their employees to follow without question. This method worked fairly well in highly controlled production environments which had little variability in their process. Peter Drucker (http://en.wikipedia.org/wiki/Peter_Drucker) the father of Management predicted then observed a shift in the early 60's which indicated successful firms were putting more decision in the domain of their employees who work with the product. Product complexity and efficiency were creating an environment where production lines where much more complicated and variable and couldn’t be supported by command and control. With the emergence of service based industries it quickly became apparent that traditional management methods were out dated (although this had become equally apparent in manufacturing earlier). Successful organizations today understand the majority of tacit knowledge with tremendous potential resides in the knowledge worker. This is the same worker who under earlier models lacked decision making authority and operated as order takers. What is the primary role of a leader today then? This question is asked far too infrequently, and when it is asked, the answers are predictable and often wrong. 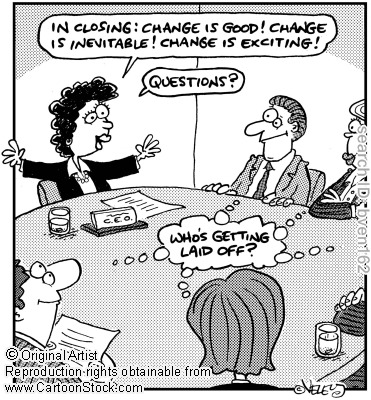 But it is a vital question, as without leadership, empowered employees will never get off the ground. Common replies include setting the vision, establishing priorities, and providing motivation. These are important responsibilities which are out dated. The essential purpose of a leader is to do one thing: create and empower change. Without a good leader, nothing changes. If a lean program, or any other program for that matter, is failing, it is probably not the fault of the tools. It is failing because of lousy leadership. As you embark on your journey, learn all you can about the concepts, practices, principles, and tools of your choosing. But remember, above all, the goal of these tools is value – and value hinges on leadership who promote and empower that change. The knowledge workers need to be in control of achieving and promoting change. Therefore, the leader must convey to the worker that they are the ones who own the processes. Leaders need to empower people to have everything in place in order to perform. Only when they know and are empowered what to do will they feel accountable and take ownership of the processes. In organizations with traditional leadership behavior, there are frequently policy deployment directions from senior management. The mindset of these leaders is not to involve the people at all. Therefore, people can’t relate to the KPIs (Key Performance Indicator) that cascade down because they can’t understand their contribution or the relevance of the KPIs. People in these companies can’t engage themselves in supporting their senior management in delivering results. Consequently any initiative which does not empower or utilize the input of the employee is more likely to fail. Leaders must focus on commitment to endlessly invest in people and promote a culture of continuous improvement. There is no destination for value delivery models, there's only the journey. As a leader you should never consider your “Lean” or “Agile” program as complete. Once you make this mistake you start down the path of contentment and will lose focus on empowering continuous change. If leaders provide a full and continuous investment in their employees then they will in turn see dedication. All too often when talking to senior management about learning and multi-skilling of employees, they tell us they worry about efficiency. Learning take times which reduces what can be delivered to the customer. Therefore, the view is that it is more efficient to have the specialist work on the specialist things (there are times and places for specialists but that’s for another paper). This might make sense from a traditionalist, but from a product-development-as-knowledge-creation perspective, this kind of thinking is plain wrong and even dangerous. Learning is the major value added activity in product development and knowledge transfer. In the long run, reducing learning will only result in loss in market share and a less valuable staff. Often management use the excuse that they have to assign resources to satisfy the customer first, which leaves them little or no time to make real change. Their bosses find it hard to argue the point (or use it as a convenient excuse themselves). Value based culture requires you to make the time to make the change—long-term planning and results versus short-term results with little planning. All leaders have the ability to adapt to the new value driven leadership mind-set. However, not everyone will be capable of doing it without intensive coaching and support from their own leader or experienced external coaches. 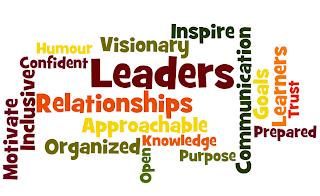 Even though initially some of these leaders will not feel comfortable in being a leader in this new system, not many of them leave or are forced to leave because, over time, most will understand the value and adapt to the new leadership system. 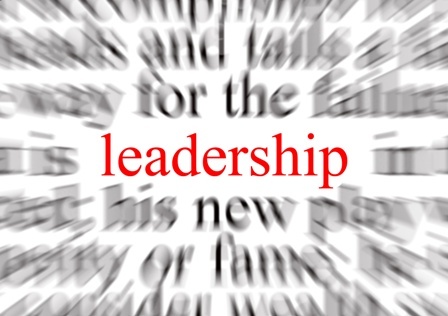 Not every leader nor every company culture is ready for this change in leadership mindset. Despite this, many companies have implemented value based tools and techniques for years with tremendous success (Toyota, Boeing, GE) . For example using a lean framework, Center for Ledelse interviewed 400+ companies concluding that only 7% had realized more than 80% of their expectation in their Lean program. This only confirms that these companies need to take action now in adapting Lean leadership behaviour and mindset in to their company culture. Every leader deserves a chance, but remember you will have to fight a lot of scepticism down that road (insert reference). You will likely need to convince the team members by showing them what is in it for them personally. People will change when they realize that their leaders really want to empower them. Leaders need to be consistent in what they ask for. They should not reduce their requirements. They should not change their communication. Consistency it required and we must accept the fact that it takes time sometimes many years for this change to fully reflect in the culture. Part four of this blog series on initiating change in the organization through Future State Mind Mapping and the execution of the change. This part consists of the actual change, which most people are patiently waiting for. The secret lies in how you and the project team use the Future State Map to develop this action plan. Remembering that the Future State Map is the blueprint for change is the single focal point for developing a good plan for improvement. Trying to create the perfect plan must not bog down the team. As General George S. Patton so bluntly stated, “A good plan today is better than a perfect plan next week.” The logic behind this statement was simple: It really doesn't matter what you plan, or how perfect you may think the plan is; when the plan is put into action, things will change. Therefore, get a good plan in place and move forward to implementation. We often don’t see or understand the entire process, which includes the complexity hidden behind the scenes, and the interdependencies with other processes and systems. Cross-functional teams using tools such as value stream mapping thus uncover comprehensive problems, where everyone understands the process. For those reasons we spent a great deal of time preparing to understand the organizational issues and evaluating the value stream. We are now ready to improve value delivery by creating a Future State Value Stream Map (FSVM). Let me add a caveat to all this work I have defined for you. This is only scratching the surface of continual improvement. That's the point of writing these series. You don't have to know it all to get started. Having a basic should be enough to get going. You likely have enough constraints facing your company that these high level suggestions will get you started. There is much much more to learn though and that's why we call it continuous improvement. The time for strategy is over. Now the process of change can begin. But this does not mean that Value Stream Mapping is complete. Just like all other aspects of continuous improvement, Value Stream Mapping is never finished. As the project work progresses, the team may find that it is necessary to return to the map set and to update and modify both the Future State Map and the action plan. The future state value stream map is a visual representation of the application of the various Lean tools in the Future State map. The future state value stream map will never be implemented all at once. It is meant to be adopted over a time period (i.e., six to eighteen months). The following icons can be used to create the future state value stream map. We are finally there. We have mapped our value stream. What components on our value stream we want fixed. If this is your first time it's likely that you have a large amount of Non-Value Added activities. Likely it's below 5% of your total value stream. Don't worry this is normal. Most companies run with this VA/NVA ratio. If you are above 5% then likely you have left parts out or you've been working on this for a while and these blog posts are already achievements you have completed. In looking at your value stream look for long wait times. Those long wait times may not be a bottleneck in terms of how much work you can process but can contain a large part of your value stream non-value added activity. Additionally wait times are the easiest to fix because they involve little process redesign or investments needed. For example, if you have weekly meetings to plan work or approve components of your value stream then you're likely adding a minimum of 7 days to your total cycle time. 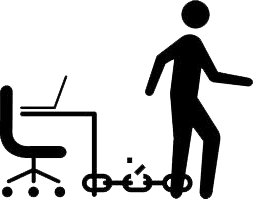 Find a way to reduce meetings to daily standups or eliminate them all together and you've shortened your cycle time by 7 days (Just think if one day's inventory is worth $10,000 then you have eliminated $70,000 of inventory just by eliminating a meeting). Along with the list of items you will be working it's a good idea to prioritize the items to prohibit boiling the ocean. "Mapping the Total Value Stream: A Comprehensive Guide for Production and Transactional Processes" by Mark Nash has a great list which I would recommend for prioritization. Regardless of the continuous improvement methodology employed by the organization, Value Stream Mapping lends itself well to the concept of kaizen. Although kaizen is literally translated from Japanese as “good change,” it is more appropriately defined as “rapid, good, continual change.” This concept, which is used in a cultural fashion with many Japanese companies, empowers the work force to immediately stop a functioning value stream at any time when a problem is encountered. All persons required to identify the root cause and a solution are gathered, and the issue is resolved as quickly as possible. Use your whole team to determine what activities or wait times on the value stream you will work on. Involve as many people as you can in the process. I'm not suggesting the solution needs to be by consensus but it does go a long way to get as much input from your intellectual capital (employees) as possible. After all they know the problems all too well because they live in them daily. Once the fundamentals of the current value stream map and the future map have been addressed, there is a strong need to ensure that the implementation of improvements is carried out in a structured and methodical fashion. Without someone driving forward the improvements, they are unlikely to happen and the improvements to performance will be negligible. Similar to how you created your mind maps and value stream maps have someone who's watching the value stream and looking for opportunities. This doesn't mean they are in charge of the value stream. That role is for everyone within the value stream. Everyone in charge of improving the value stream is also responsible for it. 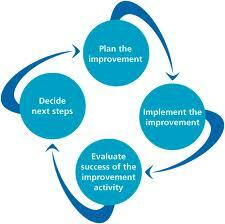 In order to keep track of your progress a lean improvement chart is one method I prefer. A Lean improvement chart lists each Lean concept that the project team wants to introduce and sustain within the value stream. Each concept is shown with a section devoted to training, implementation, and sustainability. The overall success, as well as that of each component, is measured as “percent complete” on the chart, allowing for the team and the employees in the area to see their progress. Finally, as progress is observed, the results should be conveyed to management in a format that allows for financial impact to be understood. Because any change that is implemented should ultimately result in improvement to the bottom line, it is critical that metrics provide data to support and substantiate the change. However, when dealing with the financial impact, it may be necessary for accountants and financial analysts to rethink the traditional ways of financial reporting. Implementing change at a fast pace may create a situation where traditional financial reports are misleading. The executive council must understand these potential situations and be prepared to have the financial staff of the organization retrained to think differently and also to strongly support the mapping and project team. Your success will come from accepting change. Winning comes from a culture that embraces change and pursues perfection. Setting lofty goals, empowering employees to do the things necessary to accomplish those goals, and accepting the rough spots along the road are the things that set great organizations apart. Success comes from understanding that the road to perfection is a journey of continuous improvement. Making change in small pieces, at a pace in the beginning that is acceptable to both employees and management, is how change starts. As the culture comes to accept change, the speed and amount of change will grow as well. By starting with those things that are easy to change, and by working with the employees accepting or wanting change, success will come. But you must remember: this is only the beginning. Value Stream Mapping is not a “one and done” tool used at the beginning of the journey, never to be repeated. Value Stream Mapping, just like so many other continuous improvement tools, is to be used from now on. If you quit, it's not continuous improvement. Do not believe those who say: “We've achieved the future state. We're done.” You are never done. When the team, management, or employees within the value stream begin to realize they are close to the Future State Map, it is time to remap. This is the time to remap the Current State Map and create a new vision of the future. In 2013 I really want the Lean IT community to become more visible. Along with this visibility there needs to be a better method for sharing best practices and personal stories. Please join the following pages with me and share as much as you can.